I’m new at acrylics and wanted to try something a bit more challenging than what I’ve been doing. 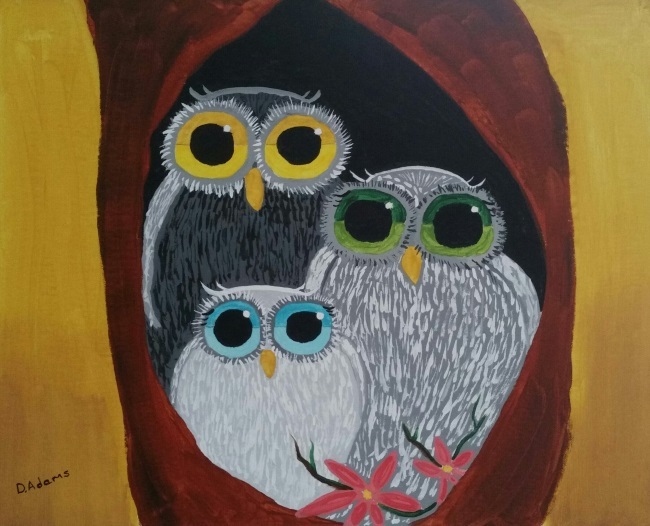 I found a YouTube video speed painting of an owl family sitting in the hollow of a tree, then tried my hand at it. 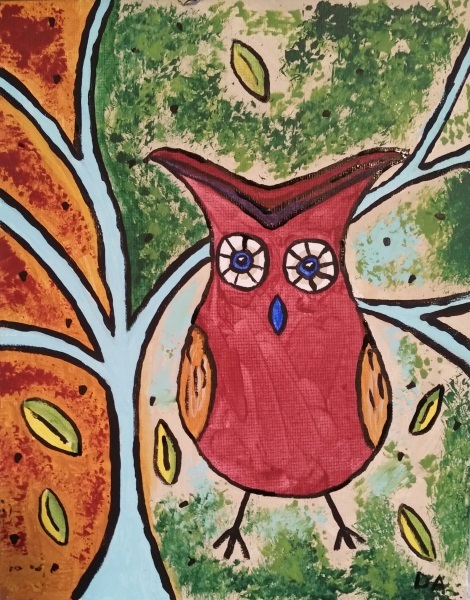 An acrylic painting of a cute whimsical owl.